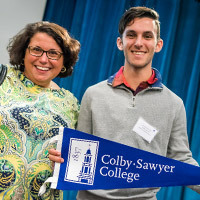 Submit your enrollment deposit for Fall 2019 to officially join the Colby-Sawyer community. Colby-Sawyer is looking for students who are ready for an experiential liberal arts education in a community that cares. Smart students who want to be more than just a number. Motivated students who want to build a resume that rocks. Creative students who want their learning to move beyond classrooms and into the world. If this student profile sounds like you, then you have come to the right place. Take the next step — submit your deposit to finalize your enrollment for Fall 2019. Instead of feeling like you are going away, the right college should feel like you are coming home. Come experience Colby-Sawyer's vibrant community for yourself. Get the most up-to-date information on everything Colby-Sawyer. 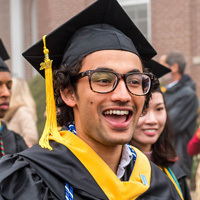 From the college's mission and majors to its setting and sustainability, find all the latest stats and facts right here. 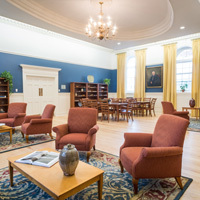 Explore Colby-Sawyer with the virtual tour. 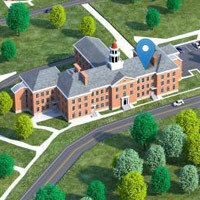 The interactive campus map is a convenient way to get to know the community before you come for a visit.